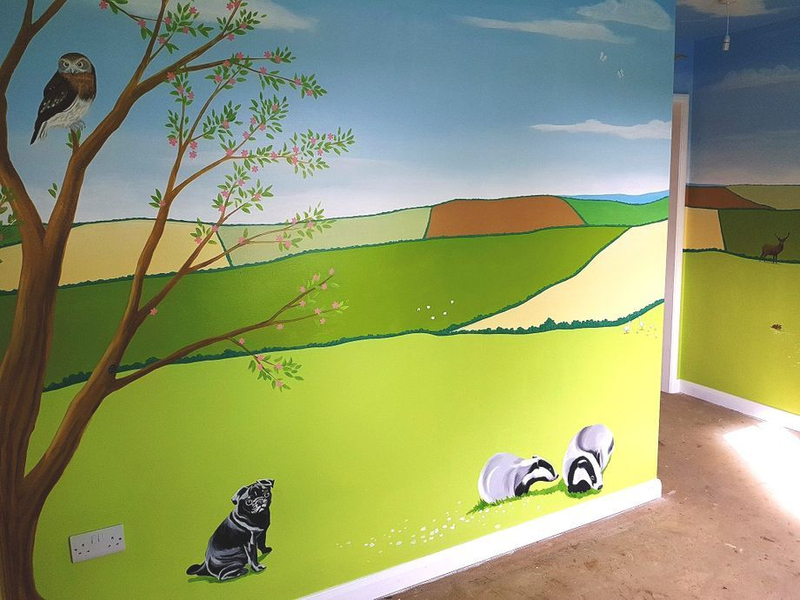 This Welsh landscape mural was painted for a little girl in Wales who lives on a farm. 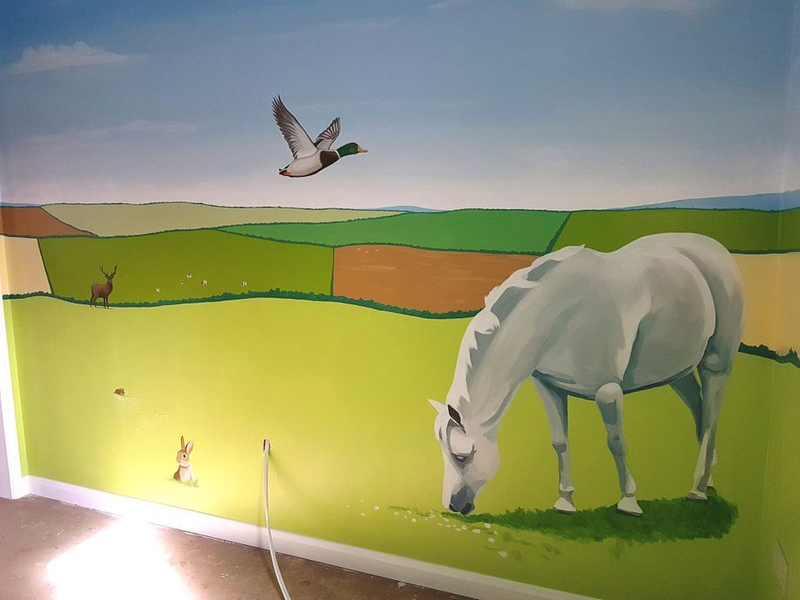 They wanted to bring the outside landscape in and include some of the animals that they have on the farm as well as some of their pets. 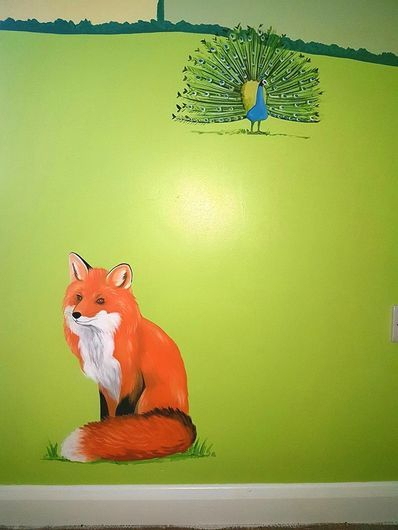 We also painted the ceiling with blue sky and fluffy clouds. 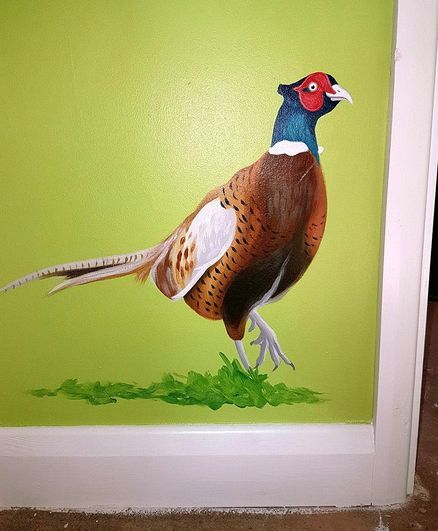 This mural took two artists five days to paint.